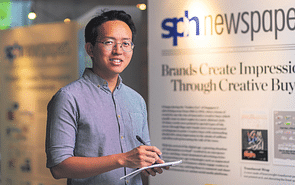 INDEPENDENCE, critical thinking and a healthy scepticism about convention and the established ways of doing things are key traits for success as a journalist, says Singapore Press Holdings (SPH) scholar Lim Xin Hui. The 30-year-old applies these traits as a correspondent with SPH’s Chinese Media Group News Hub, covering the political and housing beats. Ms Lim, who has a penchant for the Chinese language and always wanted to study overseas, was awarded the SPH Journalism Scholarship in 2007. The scholarship covered Ms Lim’s tuition fees, and included a monthly living allowance and yearly return flight to Singapore. She pursued a double major in Chinese Language and Literature and International Relations at Peking University in Beijing from 2007 to 2011, followed by a Master of Science in Journalism (Digital Media) at Columbia University in New York (2011-2012), which was also sponsored by SPH. 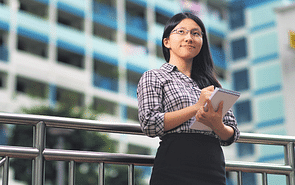 “Living overseas helped me to see with greater clarity what I appreciate about Singapore, and also what we can improve on — there are many bright talents overseas, so Singaporeans cannot afford to become complacent ,” she says. During her summer vacations in 2008 and 2009, Ms Lim returned to Singapore to hone her craft by interning at Lianhe Wanbao and the now-defunct website, omy.sg. She spent the summer of 2010 at the New York Times Beijing bureau where she assisted correspondents to conduct interviews and gather data. But Ms Lim’s most memorable internship was before she clinched the scholarship. In 2007, fresh out of Hwa Chong Institution and trying out journalism for the first time, she interned with Shin Min Daily News as part of the selection process for the SPH scholarship. 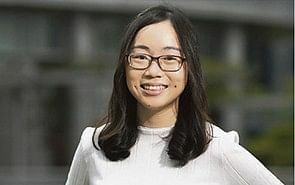 During this stint, she was assigned to interview a middle-aged woman from Johor who came to Singapore to look for her long-lost sister, whom she had not met for decades. The woman could only offer an old photo and a few identifying details about her sister’s adoptive parents. 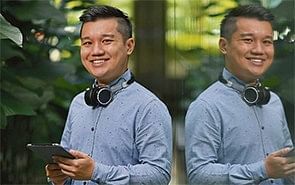 While Ms Lim was sceptical about the probability of locating the sister, she did her best to write a good story. The intern was surprised and elated when a reader called in a few days after the story was published, with information about the missing sister. Ms Lim then coordinated a reunion of the separated siblings. “It was incredibly touching, and meant a lot to me as a 19-year-old,” she says. Having seen firsthand the positive impact that her stories can have, Ms Lim is motivated to keep going even when things get tough.